Last week I participated in an endurance event unlike any other. I know, I know, you’ve heard it before: I was unprepared, I wished I’d trained more, I thought about quitting, I wondered why I do these crazy things. But this time, trust me, I really was unprepared. I had no idea what I was in for. When I started, I thought it might take a few minutes, maybe 15 or 20, worst case. Piece of cake. Little did I know. As the event stretched past the one-hour mark, I found myself battling cramps and fatigue. I was under-fueled. I had a headache. I thought about giving up. Would I ever get to the end? What was the point? And then, I finally felt a glimmer of success. I had reached the finish line – or at least I thought I had. My emotions ranged all over the place: frustration, then elation, then confusion. Had I managed to make it or not? I couldn’t really tell. It reminded me of doing my first time trial. Where was the big “Finish” banner? I wanted some confirmation, someone to say “Congratulations!” Instead, I got nothing. 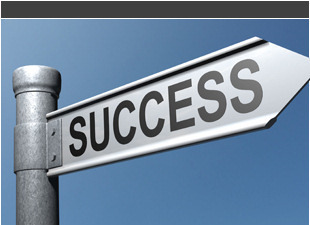 I had to wait several agonizing minutes to find out that I had, in fact, been successful. Phew! I’d made it! 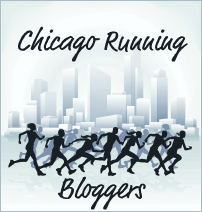 It had taken me one hour and forty-five minutes, but I did it: I registered for the Chicago Marathon. But I can’t help wondering, since when did signing up for a marathon become a competitive sport? Unlike the New York marathon, which has a lottery, or the Boston Marathon, which has qualifying standards, the Chicago Marathon is the only US-based World Marathon Major that offers a straight open registration. In Ye Olde Days, you could simply log on, type in your name and credit card info, and you were in. But running marathons isn’t the marginal activity it used to be, and marathons are filling up faster than ever. 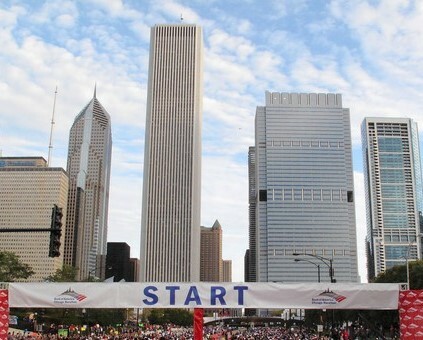 Two years ago, the Chicago marathon reached capacity a month after registration opened. Last year, it filled in less than a week. This year, when registration opened at noon last Tuesday, demand swamped and crashed the Active.com website. After about two hours, registration was suspended, with 30,000 people having managed (miraculously) to complete the registration process in spite of the technical difficulties. 15,000 spots remain, but registration has been put on hold until Chicago Marathon organizers and Active.com can figure out a way to reopen registration without blowing up the entire internet. They are scheduled to announce their new plan this afternoon. Honestly, it’s surprising that so many people want to register in the first place. Don’t get me wrong, I love the Chicago Marathon, but it’s ridiculously expensive ($175), and over the past few years, the weather has been brutal more often than not. And yet thousands of people are aggressively competing with each other for the coveted spots. Please take my money so I can be miserable on the streets of Chicago! I will gladly pay $175 for the privilege of drinking warm Gatorade and then vomiting on Michigan Ave as make the final push towards the finish! Of course, that’s why we keep doing races anyway, isn’t it? Because we’re all a bunch of optimistic idiots. Some might say crazy. After all, Einstein gave the definition of insanity as doing the same thing over and over again while expecting different results. Sounds like doing marathons, repeatedly, hoping that miraculously “this” one will be easier/faster/better. Or repeatedly clicking the “Register Now” button hoping that one of those clicks will be successful, even when all the previous ones resulted in an error message. Again. Again. Again. For an hour and forty-five minutes. That’s almost as crazy as running 26.2 miles. But hey, it finally worked. Optimism is victorious! For now, at least. Now this writer, she’s on to something.